Bursting and spinning with an abundance of color and excitement, you will love our new 84" Multi-Color Double Spinner Stake! 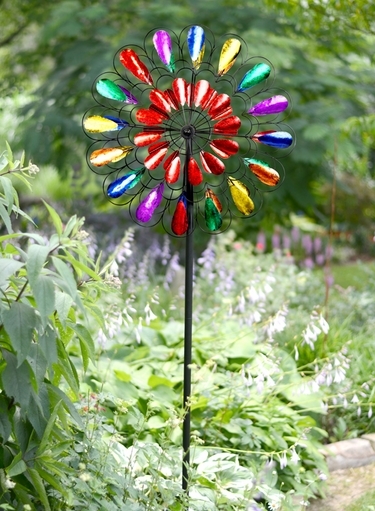 A double sided, colorful whirlwind of art in motion, this beautiful metal wind spinner will look amazing in any home garden landscape! If you need an impressively tall garden stake with color and motion galore, this garden accent is simply amazing. 84" Multi-Color Double Spinner Stake. Size: 84" Tall, 24" Spinner, all Metal.